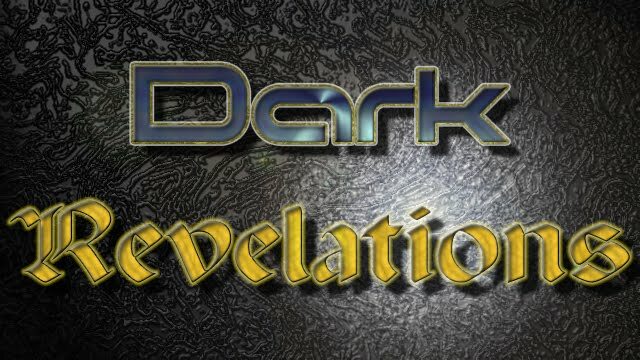 Dark Revelations - The Role Playing Game: Classic Build #2 - Elven Ranger - Jay edition. So now it’s time to try something different and tougher to build, an Elf Ranger. The difficulty here is that rangers have numerous roles they can fill. Looking at some other systems we can find that Rangers have the following features/tropes: Animal companion, bow and arrow use, favorite enemies, good survival and tracking abilities, two weapon fighting and spell casting. The agony of choice in DRev puts quite a few limits on gaining access to all these features, particularly the spell casting ability. But let’s see how close we can get to these tropes in this build. I’ll look at more focused Ranger-like builds later on. Again the first 10 levels will be covered. The * will indicate talents from the DRev Book of Magic and the Elf is from this book. Race: Elf (Verdant version, Dexterity as their primary ability). Your Role: You serve as versatile mid-range fighter switching between melee and ranged attacks. You have an animal companion to assist you in controlling the battlefield. You have a minor specialization in hunting wild creatures as well as serving as the party’s life line in the wilderness. Skills: Focus on Handle Animal, Knowledge (Nature), Stealth and Survival. Ranks in Athletics and Acrobatic will help you move through the wild. Ranks in perception will help in spotting danger and have good synergy with your path and racial bonuses. Ride can be taken if you wish to take a mount. Level 1 (including racial): Talents: Child of the Wild* (Fey racial talent, automatically obtained), Expedition (Scout talent), Favored Enemy-Animal and Vermin (Scout talent). Feat: Dabbling* (Guidance, Minor Resistance, Purify Food and Drink taken as spell-like powers). For proficiencies, you will be specifically proficient with Short Swords and Short Bows (using the Scout trade-in proficiency ability). >>Level 1: Standard Adventurer's Kit, a short bow and 20 arrows, a pair of short swords, two daggers, and buckskin armor (57 GB left over for other essentials). Your lower strength may force you to remove a few items from the standard adventurer’s kit. >>Weapon Improvement: Improving your short bow with TIER modifications, especially an enhancement bonus and the infinite shots prominence. Your preferred paired weapons is most likely going to be short swords, so having both with decent enhancement bonuses is a must. Getting a dagger or short sword of slaying for one your favorite enemies is also a good idea. You may consider taking the antipathical weapon taint for this weapon to reduce its cost. >>Armor Improvement: You are limited to very light armor to gain your full dexterity modifier to AC. You should obtain Buckskin armor with a decent enhancement rating and making it Mithral before reaching level 20 to allow your full dexterity modifier. This can represent animal skins that have been hardened by quickly dipping them in Mithral or some new strange hide from some unknown creature. >>Other Magical Equipment: The wondrous item efficient quiver is a perfect fit for this character and aids in keeping your carrying capacity in check. A fetish of camouflage, concealment, or unseen can enhance your ability to become the sneaky ranger that’s hard to spot and hard to hit. >>Modern weapon considerations could include a rifle to replace your short bow; a hunting rifle or AK-Trail rifle is a good choice for this. You may also want to get a few high-tech arrows as well. >>Your Pet: The most important thing is to make sure you get a pet using the companion rules from the DRev Monster Manual. A good choice is a Caine: Big Dog at level 2. When you reach level 5, you should take a Caine: Wolf-Like or even a second Big Dog. Build up one of your pets with the Alpha Pet template by the time you reach level 7 and continue to improve it as you gain levels. Expedition is taken at level 1 to ensure to provide you and your allies with early bonuses against the wilderness before spells or expensive equipment might be available to counter it. By level 9, you can provide special bonuses against powers that cause fatigue and exhaustion that are being used by enemies. These talents also aid you and your party to travel overland for longer periods of time. Favored Enemy is added for the classic flavor of a ranger. Animals, Plants, Ooze, and Vermin where taken to represent “natural” creatures a hunter may often encounter, with animals and vermin being more common at lower levels. You may change these choices based on input from your GM or what you feel fits your character background. You usually focus all of your attacks on a favored enemy first while in combat or try to set up ambushes to get a surprise round of combat against them. The Dabbler feat was taken at level 1 to help flesh out the ranger’s slightly mystical nature; otherwise you will have to rely on skill and training throughout your career and not magic. In combat you usually open with your short bow and then move into melee using two-weapon fighting to finish off weaker foes. Feats for this combat style are taken over your career, with the intent to gain the Two-Weapon Fighting feat achievement and the Pinpoint Target feat achievement later on. Your Big Dog or Wolf can be used to harass enemies while you hit them from afar with your bow. Their Pack Tactics feature and the Awesome Pet talent stack nicely, allowing you to gain significant bonuses as long as they stay adjacent to you while engaging in melee combat. 1: You are a wanderer. You travel to see the world for its own sake or wish to participate in any great hunt you can find. You may also serve as contract trapper moving as your prey migrates. 2: You are from the Grey Alliance. You help secure borders and go on covert raids for the alliance. 3: You are from the Dominion of Strath-Can. The wilds of Canada are a vast place full of secret Elven communities. You may be spy sent out to gather information on other regions or may have had your community wiped out by an enemy you are now seeking retribution against. 4: You are from Texas. You patrol a wide area as a cowhand or sheriff, though usually for a local land lord rather than a big military complex. You are also more likely to be using a gun rather than a bow.